Here's another update to Pioneer's AppRadio app with sketchy details. The newest version 1.7.0 claims to add a few improvements but I haven't seen much. There are bug fixes as usual but no details on what bugs, if any, have been fixed. Check out the complete list below. I have an AppRadio 2 and can't seem to find anything new in the update. Maybe the interface on AppRadio has been changed. The app icon is the same. Our readers will have to help us with that. If anything, I have encountered a couple of issues with the update. Where are the app icons? The biggest one is the compatible apps icons don't always show up (picture above). Just blank, gray icons with the word 'App' on them are displayed. The icons return on disconnecting the iPhone and reconnecting it after quitting and relaunching the AppRadio app. The more important issues of pop up warnings and blank screens continue to persist too. The home button sometimes doesn't seem to work. 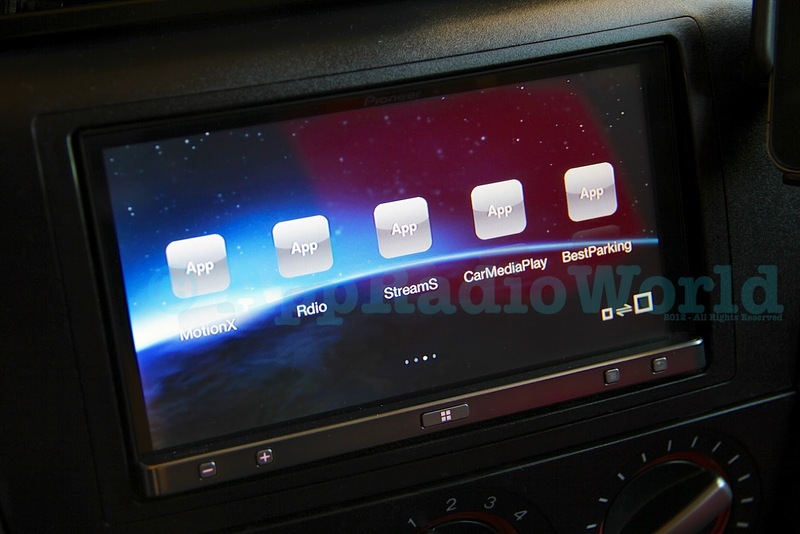 There's no list of the 'additional Pioneer multimedia receivers' available either. So, visually, nothing much has changed on AppRadio 2 at least, with the update. Can someone comment about the update on the first generation AppRadio? Also did not see anything new. I am APPRADIO 1. To resolve the icons the program must be uninstalled and downloaded again. not just updated. Noticed the same thing here. I was soooo hoping the blank screens, non responsible home button, and persistent warning messages were the target of this fix. I have called and written their support. They keep telling me, its not suppose to do that and my unit may be faulty. So I went back to Best Buy and they changed the unit yesterday for me. It was great for 1 hour and same issues, including where the AppRadio app is launched, but it wont "pair" with the unit. Come on Pioneer! I paid nearly $800 for this and while I love it if I just play music and leave it alone... there are times it cant even do that. appradio sph-da01. And I have same issue with icons. I alos have even more bugs now!!! Come on Pioneer, you ned to fire some devs in the (cr)app radio section of your company. This is getting embarrassing!